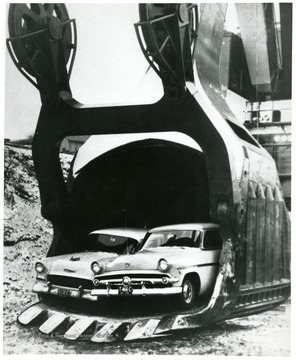 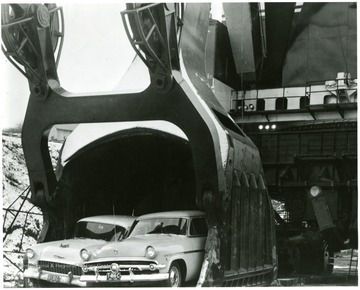 A large scoop with two cars fitting between its jaws. 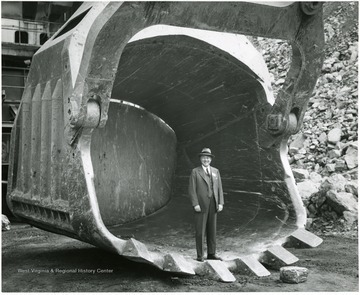 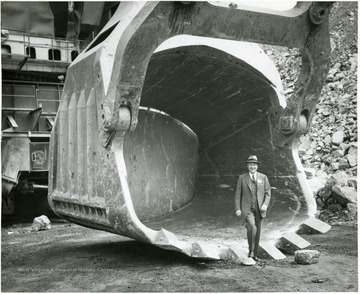 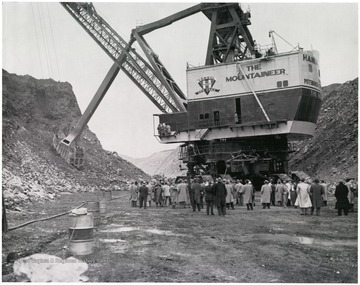 People standing next to the massive Mountaineer shovel. 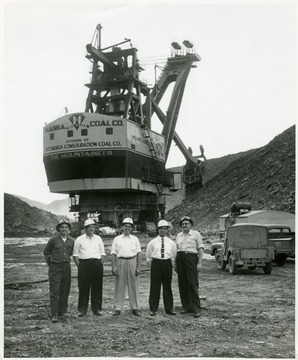 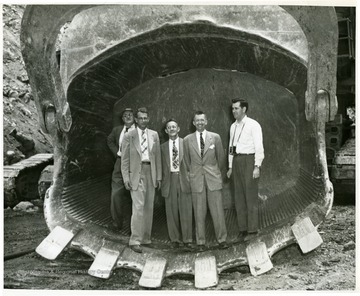 Group portrait of men standing in the bucket of a large shovel. 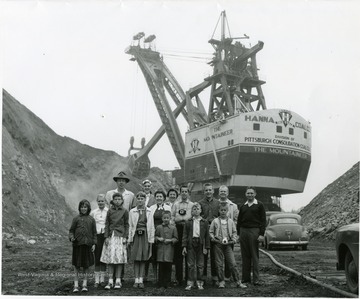 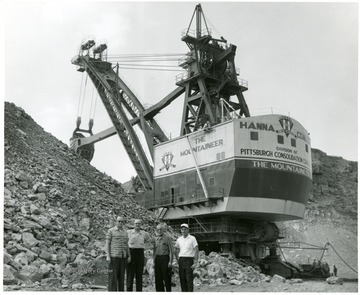 Group portrait of children standing in front of the large shovel 'The Mountaineer'. 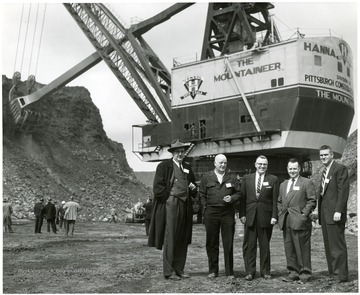 Five men standing in the Mountaineer Scoop. 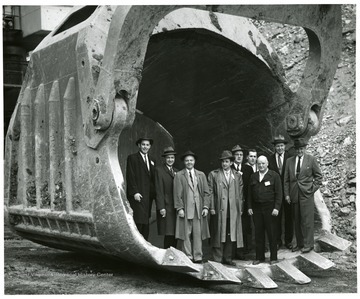 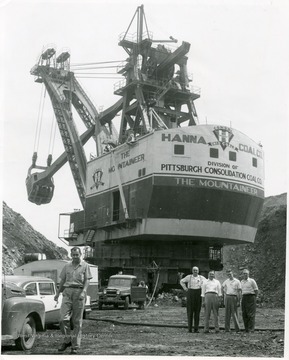 Group portrait of visitors in hard hats in front of the giant shovel the Mountaineer.